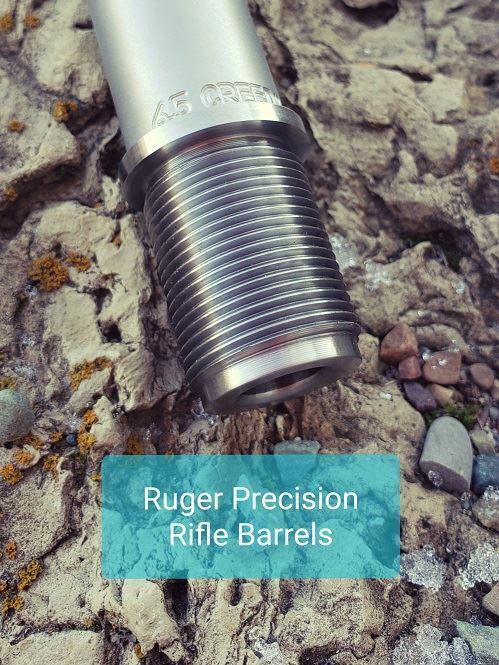 X-Caliber is Proud to offer Replacement Barrels for your Ruger Precision Rifle. 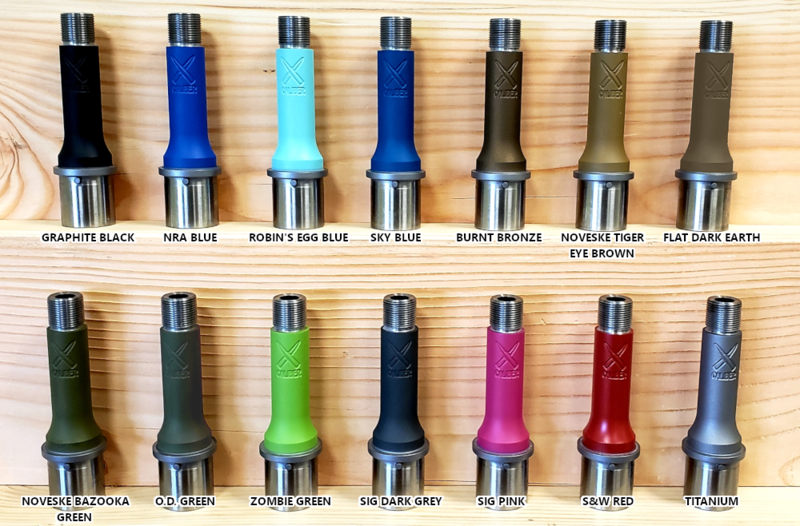 We offer 5 Contours with nearly 20 chamberings to choose from. 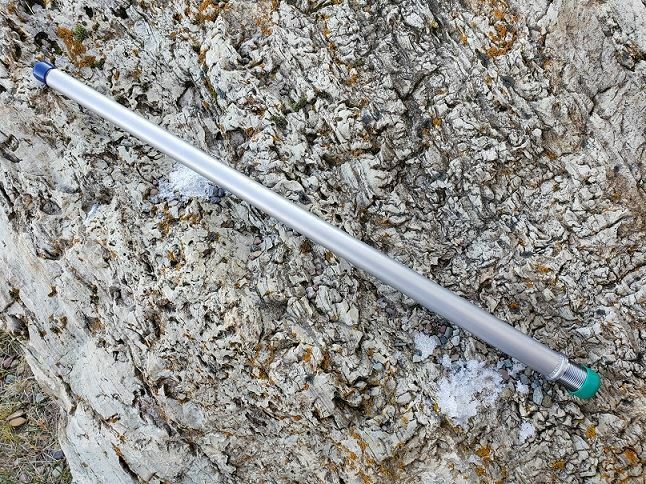 Take the next step in Accuracy with X-Caliber Barrels. Our Prefit 1” MOA accuracy guarantee is 3 rounds at 100 yards with quality ammo and a skilled shooter. Like anything X-Caliber makes, we stand behind it 100%. If you do not think your barrel can shoot 1” groups or less, we will have you ship it back. We will inspect the barrel. If the barrel fails, we will build you another barrel and ship it to you at no cost. If the barrel passes all test, it will be shipped back to you at your expense. When breaking in your new X-Caliber Barrel, you should perform appropriate fire and clean cycles to normalize the bore surface. Each fire and clean cycle consists of a certain number of rounds fired (one to five) followed by a cleaning procedure (see below for reference), to be completed a certain number of times (1-25). These vary depending on the type of steel of the barrel, bore/groove diameter, velocity and pressure of any given round, etc. This is to be used as a guide. Since our barrels are hand-lapped, each barrel may break in a little differently. Some barrels may require more or less shots or cycles to break in than what is listed here. 416R Stainless Steel: Fire One Round then Clean: Do this 5-10 times. Fire Three Times then Clean: Do this 1 time. Fire Five Times then Clean: Do this 1 time. 4140 Chrome Moly: Fire Once Round then Clean: Do this 5-25 times. Fire Three Times then Clean: Do this 2 times. Fire Five Times then Clean: Do this 1 time. Example: For a 416R Stainless Steel barrel, you would fire one round, then perform the cleaning steps outlined below a total of five to ten times (shoot 1 round & clean, done 5-10 times) before starting the three shot cycle where you would fire three rounds and then clean as outlined below, then proceed to fire five rounds then clean, completing the break-in procedure. 1.) Using a one-piece, coated cleaning rod with a properly sized bore brush (wet with your favorite non-foaming bore solvent), carefully clean the bore from the chamber end toward the muzzle (3-5 passes is usually sufficient). If you cannot clean from the chamber end, be sure to use a bore-guide so as not to damage the crown or muzzle end of the rifling. Let sit 30-60 seconds before moving on to the next step. 3.) Put a few of drops of oil on a patch and push that down the bore so as to leave a thin film of oil inside the bore. 4.) Begin a new cycle: Fire your next round or rounds in your next firing cycle and repeat cleaning as necessary. It is recommended to keep a written tally of your current step within the process so if you get distracted you will know where you left off.